We take pleasure to introduce ourselves as renowned manufacturer, exporter and supplier of Horn bone product. This product is extremely demanded in the market for its special use. 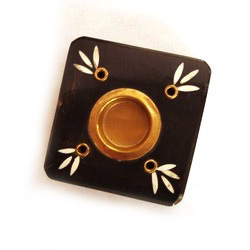 Since our inception, we are instrumental in manufacturing, exporting and supplying optimum quality Horn Incense Holder. According to the international norms, this Incense holder is intricately designed by utilizing innovative tools & equipment under the direction of vendor’s devoted workers & experts. 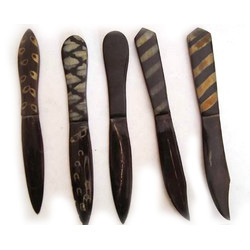 The offered Incense holder is also examined on numerous quality provisions as per the predefined quality standards. Our customers can purchase this Incense holder from us at pocket friendly rates. Being a customer oriented firm, we are engaged in manufacturing, exporting and supplying a wide range of HornPaper Cutter. The offered paper cutter is designed by utilizing best grade unfinished material and latest technology in sync to the market standards. This paper cutter is used to residential areas & many other places. Along with that, we are offering this paper cutter within the stipulated period of time at reasonable rates.